Ben Scaggs currently serving as Executive Director of the Gulf Coast Ecosystem Restoration Council (RESTORE Council). Created by the RESTORE Act of 2012 and comprised of the Governors of the five Gulf Coast States and Cabinet-level officials from six federal agencies, the RESTORE Council is responsible for restoring and protecting the natural resources, ecosystems, fisheries, marine and wildlife habitats, beaches, coastal wetlands, and economy of the Gulf Coast. 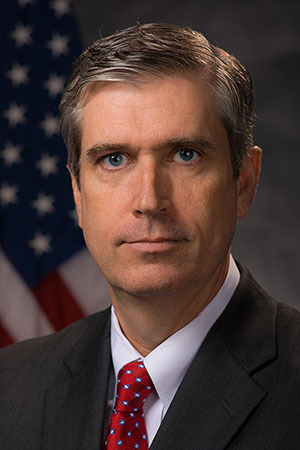 Prior to his current role, Scaggs served as Director of the Environmental Protection Agency (EPA) Gulf of Mexico Program (GMP) from 2012- 2018, which is a non-regulatory, geographically-focused organization whose mission is to protect, restore, and maintain the health and productivity of the Gulf of Mexico and the communities that rely on this national resource. Scaggs also served as EPA’s Associate Deputy Administrator in Washington, D.C. from 2015-2016, while on a one-year detail from GMP. In that role, he oversaw a broad portfolio of EPA’s management and leadership functions in support of the overarching mission of protecting public health and the environment. Scaggs joined EPA in 1991 from the Federal Energy Regulatory Commission, and over his 25-year career at EPA, he worked in the offices of Air and Radiation and Administration and Resources Management in Research Triangle Park, North Carolina and in EPA’s Enforcement office in Atlanta, Georgia. Scaggs holds degrees in International Studies and Public Administration from the University of North Carolina at Chapel Hill.